When I sat down to write my thoughts, prayers and memories from Tuesday, September 11, 2001, I wrote about 5 pages worth of material. Not wanting to draw out a story that everyone could recount I’m electing to only post an excerpt. Like how people remember when President John F. Kennedy was assasinated or when Apollo 13 was circled the globe…I too remember September 11…vividly. This is my story. There aren’t quite any words. To say, “I’ll never forget’ or we’ll never forget” is an understatement. September 11 is so deep that even 11 years later it’s fresh on everybody’s mind. I’ve been alive 25 years and to witness something that is now going to be in history books forever…it’s quite astounding. I remember the beginning vividly, I was a freshmen in high school living in Nederland, TX eating breakfast before I left for school. The TV was on but I don’t recall paying it any attention. Mommy calls from the back- Turn it to channel 4( I believe that’s the channel but it was ABC/Good Morning America). One of the tall buildings in New York was on fire. I mean black smoke was billowing from the upper part of the building. I will never forget that my first thought with some attitude was: “why am I watching this?” I mean a building is on fire, I’m not sure why that’s on the news, but further more why would mommy have me change it to look at. So, I left it there and I don’t remember listening to or paying attention to what they were saying. From the little bit that was being said, the news people(Charlie Wilson to be exact), they didn’t know what was going on either. Then a few minutes later I watched…live as an airplane struck the other tall building(I later learn are the North and South Towers of the WTC). I genuinely can’t remember what I thought or did next. I don’t remember if I screamed “What? !” or if I sat there numb, I genuinely have no idea what I said or did. I vaguely remember my mom coming from the back to the front where I was but I don’t remember if my sounds brought her up front or if she was just coming up there already. I do remember not wanting to go to school. Forget school, these fools are flying planes into buildings in these streets, were my sentiments. The very first thought at the forefront of my mind, (because this was still around the time where I was afraid of flying and if I didn’t have to be on aircraft I elected not to be), was OMG, I was just on an airplane last week (flying Providence, R.I. to Houston, TX) If this had been a week earlier that could’ve easily been me and my family on the plane. The previous weekend was Labor Day. Later learning that the planes Hijacked left from Boston and were headed to Los Angeles, was a trip to me because logic tells me, you get a plane in close proximity to New York but yet has enough fuel to fly across the country so you wouldn’t run out of fuel, that would be descriptive of the plane I was on one from Rhode Island to Texas. But I was seated in my living room in Texas. Shocked. I remember it being crazy, like I literally could not believe what my eyes were seeing, but I tell you what, I NEVER thought in a million years that the buildings would fall down. I mean I never thought people would fly planes into buildings either so there goes that. So, I remember going to school, even though I didn’t want to go, but if things got crazy I literally lived right up the street. I remember being in my 2nd period and there was a TV on with the buildings still burning, I genuinely can’t remember if I saw live when the buildings fell. But I’ll also never forget someone saying, they were concerned about other major buildings being hit such as the Sears Tower in Chicago. My nearest Metroplex was Houston, and I don’t recall them having any tall building of note (because that was my first thought) BUT they did have oil refineries though… I think I remember those being a concern. Regardless, I remember someone else telling me that they cancelled school in Houston that day. Smart move, those people stole my idea because that’s what I said we should have done, but as I reflect on my exact location and school, in small town Texas nobody was thinking about us in that regard so in school I stayed…. That’s really all I remember about the day live…Fast forward the days ahead, I remember the country banding together, I remember President Bush, in so many words declaring a war on terror. Then I remember us subsequently going to war. This day is so sobering, because for the rest of my life I still won’t be able to fully comprehend what happened, it will never start making sense to me. To know there is a people out there that hate us(this country) so much you’re going to fly planes into buildings killing innocent people who did nothing directly too you? Is more than unsettling to say the VERY LEAST. I just don’t understand that. That’s some deep-rooted hatred, I can’t help but wonder what did we do that deserved ALL OF THAT! 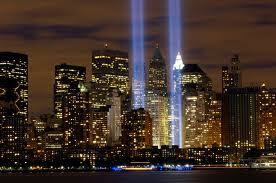 2700+ lives lost that day, just in the 2 towers. I don’t know the tally for the pentagon or if you include the 4 planes including the heroic people of Flight 93 sacrificed their lives to save many. I can’t commend our firefighters, EMT workers, and police officers in addition to our the men and women of the U.S. Armed Forces enough. Their heroism is truly unmatched. Yes, September 11, 2001 will NEVER be forgotten, but oh how I wish it could be by it never having happened in the first place.